Dr. Christopher Kuranko graduated from Creighton University School of Dentistry in 2001. After receiving his DDS, Dr. Kuranko worked at Community Health Centers for eight years where he treated the underserved and uninsured populations of Arizona and Nevada. Dr. Kuranko also provided dental services for Childhaven, the foster care program in Las Vegas. In 2010, Dr. Kuranko entered private practice working as an associate, and in 2013 realized his dream of buying a practice, Healthy Smiles Dental. Dr. Kuranko grew up an Air Force “military brat”. He moved to Spain when he was five and lived there until he finished high school. He completed his undergraduate schooling at UNLV, graduating with a BS in Biology in 1995. Before going to dental school, Dr. Kuranko worked as an organic chemist for Lockheed Martin. Throughout his career, Dr. Kuranko has been dedicated to excellence in his line of work. Dr. Kuranko is a member of the American Dental Association, Nevada Dental Association, Southern Nevada Dental Society, and Hispanic Dental Association. 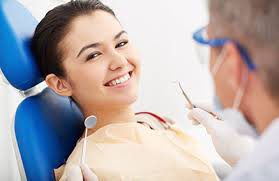 Dr. Kuranko is experienced in all aspects of dentistry. His philosophy is to provide the best possible care at the most reasonable cost. He is very gentle and caring, treating those in his office as a large family. His skills include root canal treatment, crowns, dentures, pediatric dentistry and more. In his time off, Dr. Kuranko enjoys traveling, playing tennis, snowboarding, landscaping and home improvement projects.